Posted on October 8, 2014 . Updated February 5, 2018 by dm. 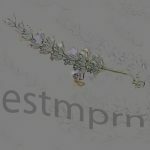 estmprn is a solo improvised project for live electronic and processed acoustic resonant tube. Damiano starts his musical studies with the trumpet and in this performances he combine, for the first time, the acoustic instrument with the electroacoustic and digital sound technologies. The acoustic instrument is hardly ever listen with its traditional sound but it’s used through different electroacoustic prospective. The resonant tube sound is also processed and recorded using different live electronics technics. The “acoustic” sounds are combined with electronics and soundscape elements and with different live created sound trajectories. This project is the natural develop of the Damiano activity as improvised music performer, for instance for Cage’s music, and as live electronics in contemporary music, for different important composers (Berio, Stockhausen, Pousseurs…), that continue since long time now. These different experiences are in estmprn combined with live composition.